Shelf Steps are Tread Type Ladders (like half of a Step Ladder) with a Cross Bar across the Top for leaning on to Walls, Fixed Shelves or Fixed Racking Systems. They are a light and portable solution where space is at a premium. Little Jumbo Ladders sell the C Kennett range of Timber (120Kg) and Aluminium (150Kg) Shelf Steps. Shelf Steps are a Tread Type Ladder (like half of a Step Ladder) with a Cross Bar across the Top for leaning on to Walls, Fixed Shelves or Fixed Racking Systems. They are a light and portable solution where space is at a premium. Little Jumbo Ladders sell the C Kennett range of Timber (120Kg) and Aluminium (150Kg) Shelf Steps. 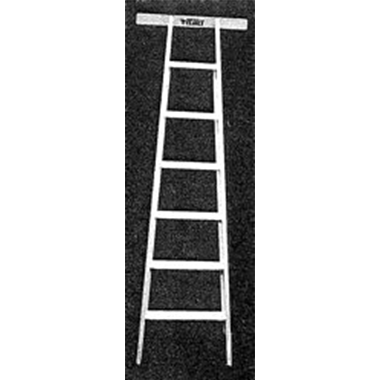 If you are looking for a Ladder that runs along a track at the top and has wheels at the bottom, check out the range of Library/Track Ladders.